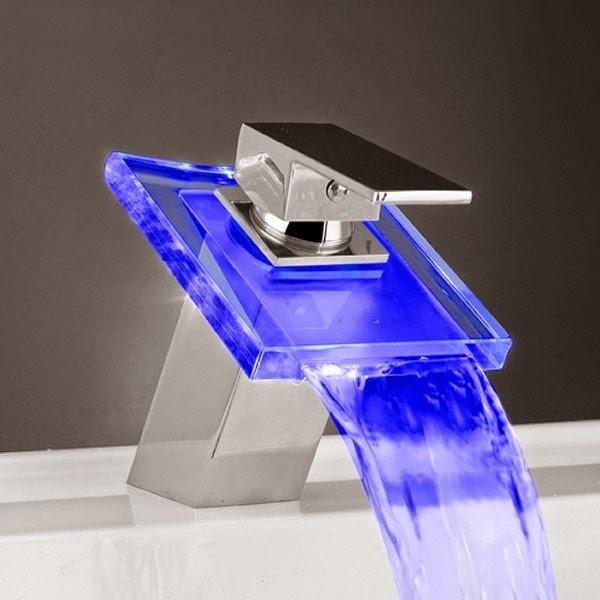 20 Smart and Intelligent Faucets. 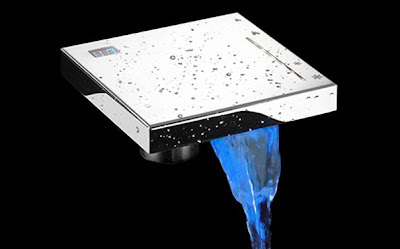 Collection of 'Smart and Intelligent Faucets' from all over the world for your bathroom and kitchen. 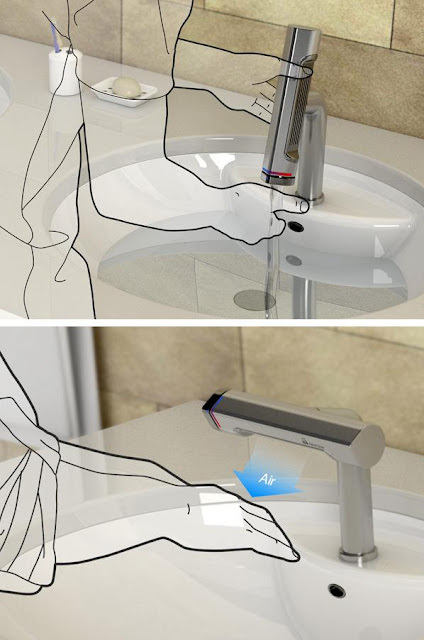 Glowing Faucet: Designed by S Newnam and Touch360 Studio, this modern bathroom faucet's surface glows red or blue to display the water temperature; the water pressure is controlled by moving the ball in or out from the center and moving it around controls temperature. iHouse Smart Faucet: It uses facial recognition technology and recognizes everyone who uses it and once it knows you, the tap will automatically turn on the water to your preferred temperature and flow. Apart from this, you can also use the touchscreen to access e-mails, check the outside temperature, check your calendar, etc. Tempdot: There are dots on top of the faucet that activates the water flow and controls the temperature of the water. 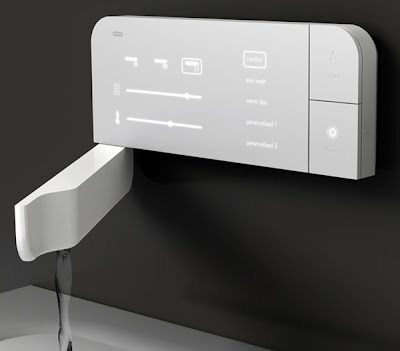 Smarter Handwash: This digitalized faucet gives soap and water in a very unique fashion. 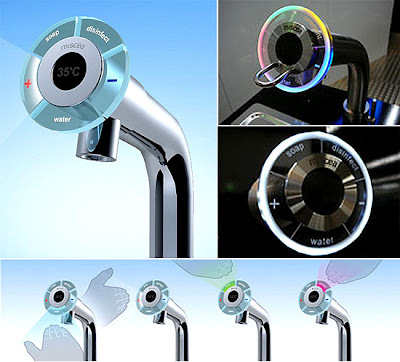 Transparent Illuminating Faucet: This clever faucet features a clear, colorless body with integrated light that illuminates the faucet and changes color in accordance with the water's temperature. 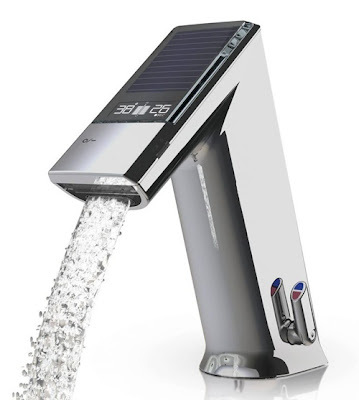 Veris Digital Faucet: You can control water temperature and the flow by being away from the faucet; using wireless technology, the control can be installed remotely. The Grohe's Themostatic Digital Controller features an illuminated colored ring that indicates water temperature, button controls for start, stop and pause, and an exterior dial to adjust water flow. Apart from this, by linking the control to a digital diverter, you can also switch between up to three water outlets at the touch of a button. Cook Faucet: Designed by Jae il Bae, this faucet comes with buttons on the tap that are divided into 100 ml, 500 ml and 1 liter and normal. 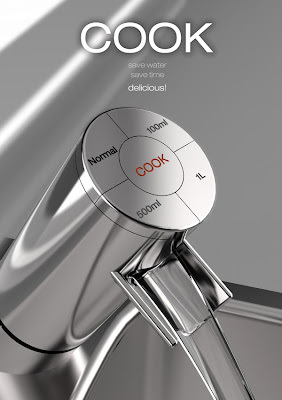 While cooking just press any of these buttons and take the required pre-measured water. Digital Faucet: Designed for Effisystem; in this digital faucet the watercolor reflects the temperature; it features four touchkeys for navigation and comes in an automatic shutdown model and a time delay display. 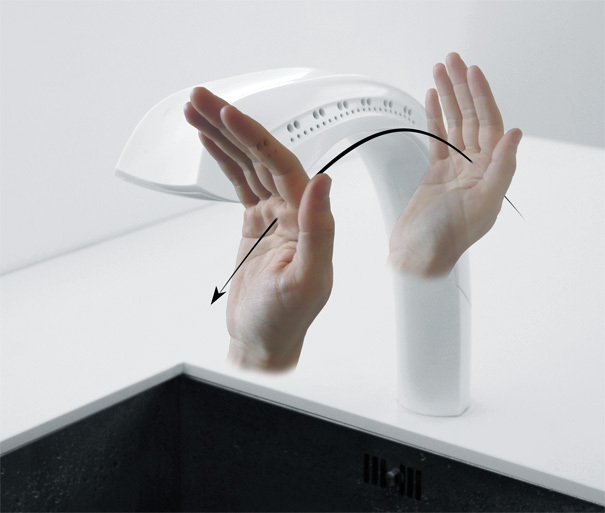 Dry Hand's Faucet: The Dry Hand's Faucet beautifully combines the handdryer within the faucet system. 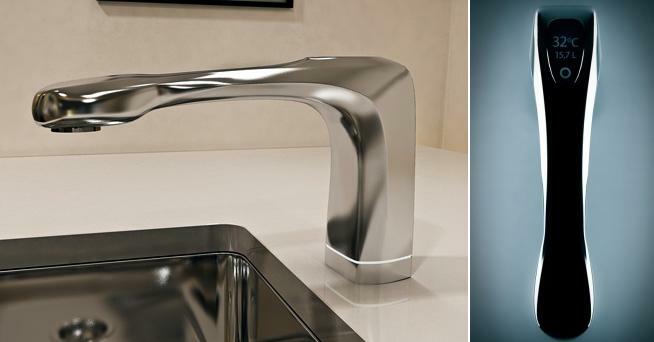 Water Symphony Faucet: Designed by Aleksandr Mukomelov, this intuitive tap functions automatically when the hands comes within range. 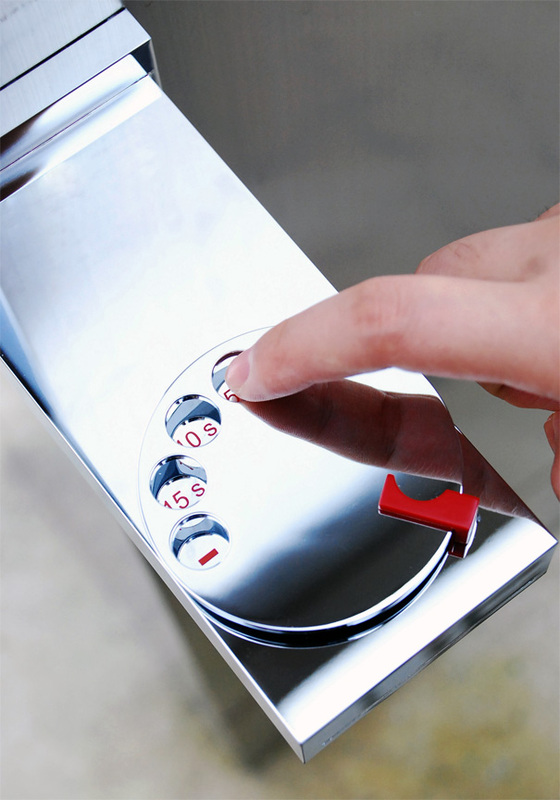 The faucet includes a mic and screen that displays the water pressure, temperature and water used. 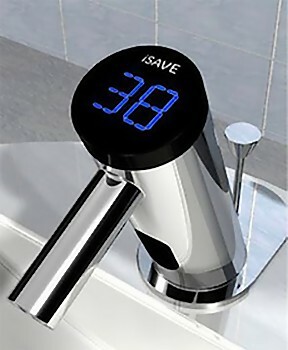 Faucet With Dial: The faucet allows you to dial the number of seconds you want the water to flow. Fold-Out Faucet: The fold-out faucet comes with a touch panel that lets you personalize the flow, strength and temperature of water. 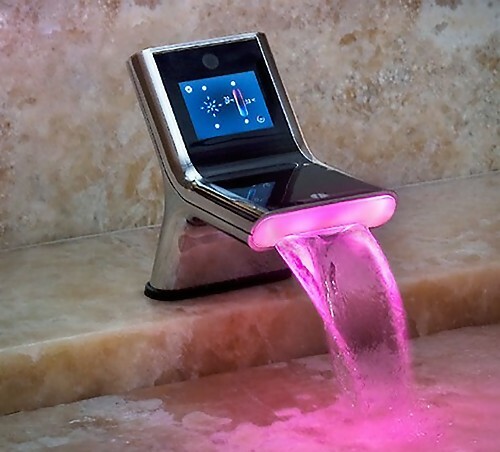 Electronic Faucet: The touchscreen on the Frattini electronic faucet controls the amount of water, allows you to set the temperature and even turns off the flow of other faucets in the house. 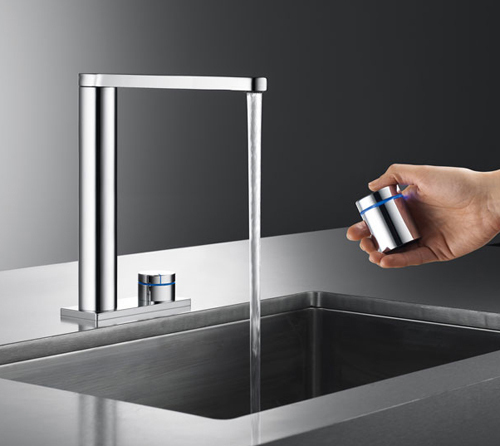 Fluid Faucet: The design seamlessly integrates touchpanels for water temperature control on the body of the faucets. 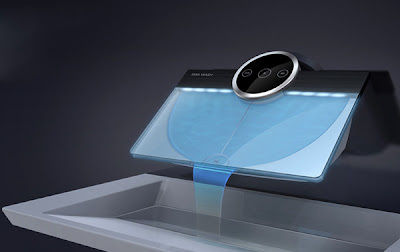 A Touchless Kitchen Faucet: Designed by Jasper Dekker, this touch-less faucet lets you control the flow, speed, stream, and temperature, and everything with your hands gestures. Miscea Hi-Tech Faucet: Designed by Mathis Heller, this hi-tech faucet gives you water, soaps and a choice of lotion without touching the faucet. 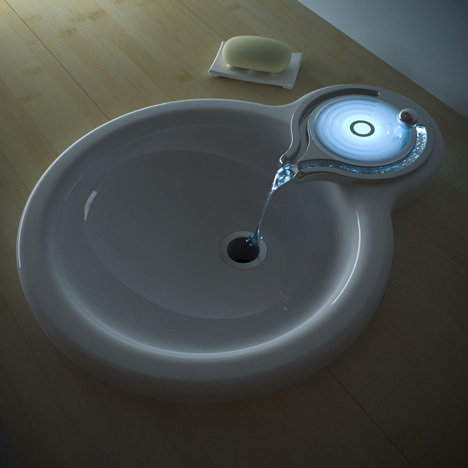 iSave Faucet: The iSave concept design by Reamon Yu, has a digital readout of amount of water that has been used. Electronic Bathroom Faucet: To activate this faucet by Iqua you don't need to touch it, and it has an electronic display on the face of it that shows the water temperature and amount of water used. 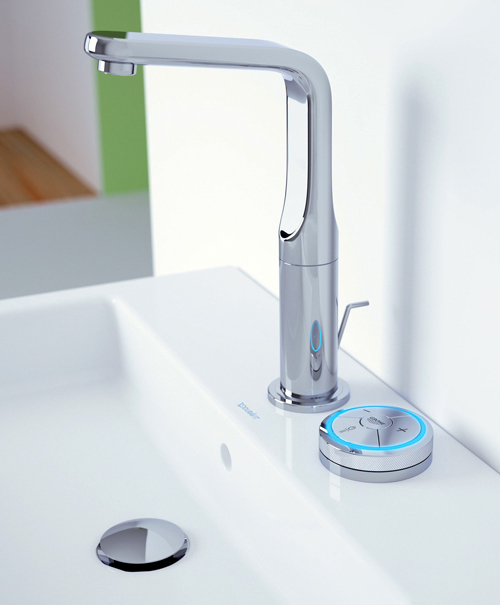 KWC ONO Touch Light Pro: This versatile designed faucet combines flexibility and electronic touch control. 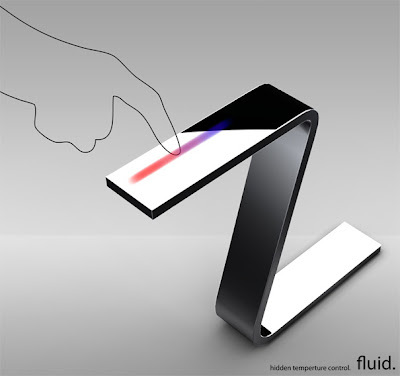 Illuminated Faucet: The sleek design tech-savvy faucet comes with completely intuitive controls that lets you turn the water on or off, and regulate its temperature all by gliding your fingers across the top. 20 Ways To Reuse Old Glass Bottles. 15 Cool Nature Inspired Designs and Products - Part 2. 10 Modern Lunchboxes and Cool Lunchbox Designs - Part 2. 15 Awesome and Coolest iPhone 6 Cases. 15 Useful Home Automation Gadgets - Part 3. 15 Innovative and Smart Gadgets For Cyclists. 15 Best and Useful Pocket Photo Printers. 15 Best and Useful Solar Rechargers - Part 2. 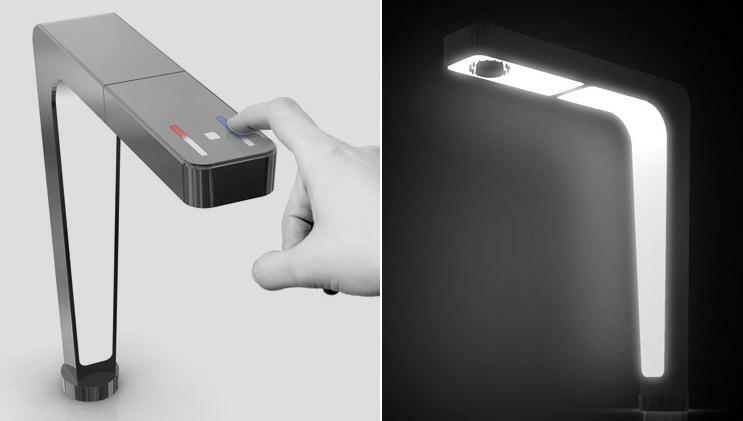 15 Smart Wireless Selfie Remote Shutters. 15 Coolest and Awesome Tailgating Gadgets. 15 Practical High Tech Home Gadgets - Part 7. 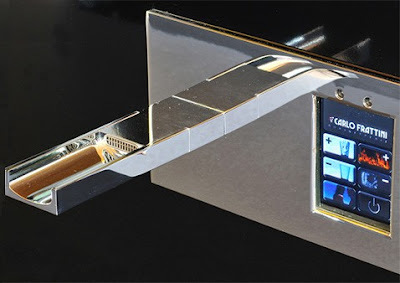 15 Functional Personal Gadgets - Part 6. 15 Best and Useful Office Gadgets - Part 2. 12 Smart and Innovative Suitcases. 15 Awesome Gadgets for Photographers - Part 4. 15 Useful Gadgets For Women - Part 4. 15 Functional Gadgets for Tech Savvy - Part 6. 15 Innovative and Smart Notification Gadgets. 15 Best and Useful Fishing Gadgets. 15 Best and Useful Gadgets - Part 3. 15 Smart and Awesome Driving Gadgets. 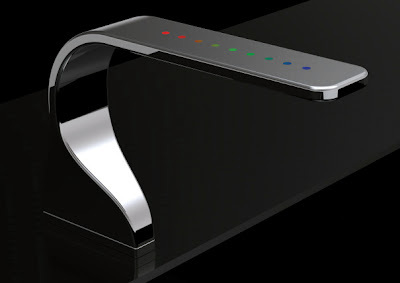 15 Smart and Innovative Keyless Gadgets. 15 Best and Useful Garage Gadgets. 15 Coolest High Tech Clothing. 15 Best and Useful Gadgets for Men - Part 2.